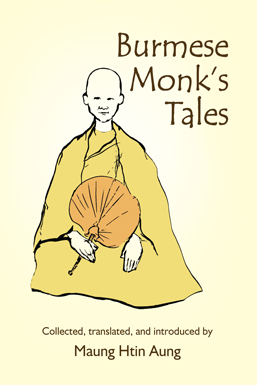 The monk's tales contained in this collection were first told during that dark decade of Burmese history (1876 85), when the coming event of the British conquest of the whole country was perturbing the Burmese people. For the first time since the eleventh century the future of Burmese Buddhism became uncertain, and there was widespread fear, both in Upper Burma still under a Burmese king and in Lower Burma already under British rule, that the final fall of the Burmese kingdom would result in the total extinction of both the national religion and the Burmese way of life. Told with the purpose of allaying this anxiety and fear, these tales give a full and faithful résumé and appraisal of the position of Burmese Buddhism on the eve of the British conquest of 1886. This eBook is in Mobi (Kindle), ePub (iPad, Android, other eReaders) and PDF formats. You will receive a download link for each format (i.e. PDF, ePub, Mobi) after checkout.